The Partagas Mille Fleurs is a generous, tasty short Habanos, of Petit Corona format, 42 ring gauge, 5.1” (129mm) long and comes in a box of 10 cigars. Comparable to the Partagas Shorts or the famous Montecristo No. 4, it is a stick that should not be missed by any Cuban cigar connoisseur. The Partagas Mille Fleurs is an attractive little cigar and showcases the signature Partagas flavors although slightly milder. •	A great example of the great Partagas brand. This is a great cigar to have on hand when looking for a full bodied classic Habana. The Partagas Mille Fleurs is a well rolled cigar, with a rustic medium brown, oily and minimal veiny wrapper with an even, tight bunch. It is toothy in appearance and it is slightly box pressed with a solid triple cap. Smooth to feel and spongy, with strong aromas of earth and wood and the wrapper has that beloved barnyard smell. Lighting is pretty easy. The draw is very good. The burn is as good as it can get. The Partagas Mille Fleurs tastes like a Partagas, almost identical to its sibling the Partagas Shorts in a more elegant format with touches of leather. 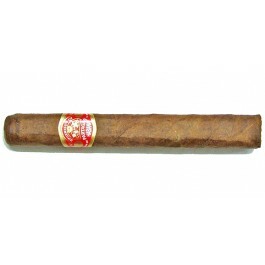 The cigar delivers thick, rich and flavorful smoke, with cedar, nutmeg, coffee and earth flavors. The flavors are balancing out and the cigar reveals its medium to full body. The draw is still good and the burn is still even. Woody and spicy flavors are now more noticeable, accompanied by earthy and musky leather tones.